Recently I bought a scanner and USB adapter wire to go from 4 to 16 pin for my Ducati. Waiting for it to arrive and then Ill register and download software on my computer and use this scanner and software to clear out the service reminders. Is there anything like this for the SKR and RR? Re: Devices to clear service lights? There have been several posts about this, many in the last month... The expensive route is to use a GS-911 ($400+), the cheaper route is to use a bluetooth OBD-II reader (and adapter cable if you have a bike prior to 2017) and the Motoscan app (<$100). I have a cheap chinese OBD-II bluetooth reader, but it won´t work on the Sk1r with the Motoscan app, (works on cars with Torque). Do you know if there is any norm it must comply to work on the Bmw? 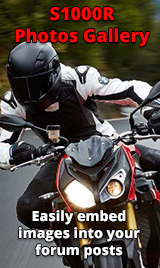 Just tried the motoscan lite app with a chinese OBD reader, and had success in connecting to the bike. I could even read error codes : 3A13E2 and 3A15E0. There were others, but only limited info is available in the Lite (free) version. Do anybody have any ideias what those error codes means? The bike has been serviced at the dealer a couple of days ago, so I don´t think that´s anything important, but would like to know anyway. The OBD tool needs to be capable of writing long messages, otherwise it won't be able to clear the date for the service reminder. Same here. Had to pony up for the premium version of the Motoscan app as the lite version won't clear the service reminder light. 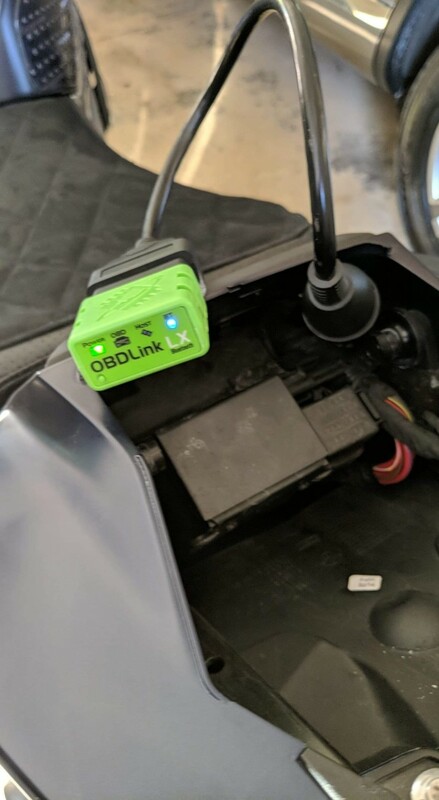 My total cost was $100 for the OBDLink LX Scan Tool ($50) + OHP 10-pin Adapter ($20) + Motoscan Premium ($30).